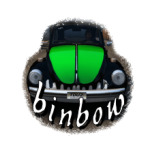 binbow had the most liked content! This is a tool for changing the setting value of the volume such as the engine sound described in "CarVSTConfig.xmb". Install: - Store the file generated after extract zip file in a suitable folder. Usage: - Fill in the file name in the "Target : ..." field - When you click the folder shape icon, the file selection dialog is displayed. You can also enter a file name by D & D a file. - Either "CarVSTConfig.xmb" or the sound file "xxx_high.bnk" can be read. - After changing the value of the element, click the "Save" button to save the value. - After saving, "yyyymmmdd-HHmmss_file name" file is created as backup. @Bryan1998: I remembered one thing. Djey has released the source file of MiniXmb.exe. If you decipher this source, you may be able to understand the structure of "CarVSTConfig.xmb". This source file is written in C#, but since I am still learning C# I can not understand the contents yet. -- edit -- An updated version released. Please see the top of this thread. @Bryan1998: There is no problem releasing the source code. However, it is probably not useful because it is written in a program language not familiar to Delphi in general. I will release an updated version if possible. Please give me a time. -- edit -- Could you please show me if you have file names that with values of _6 and _7? The "db_data.cpr" you provided seems to be broken. However, I could not specify the broken data address. There is no abnormality in the data in the range handled by tdu2vpe. I recommend you to undo all the changes you've made to "db_data.cpr" (replace "db_data.cpr" with the original file) and make try to change again while monitoring the situation. What about the following things? Does the timestamp of db_data.cpr match the date and time you made the change in tdu2vpe? Please check the IK. The original Harley's IK is 1510. @MickieMcGee Regarding "no mapping for the unicode" error: It is a measure that can not be expected so much, please try the following. Is the folder name with tdu2vpe and the folder name with tdu2 file after unpacking made up of alphabets only? If not, it may be improved if it is a folder name consisting only of AZ characters such as "TEST". When unpacking, I think that it is better to specify a different folder as the unpacking destination. After the test, delete the folders unnecessary. --- eidt --- Can you send me that "db_data.cpr" with a file size of 1193 kb? I would like to research it for the future. Can the game start normally and play? I am concerned that the size of "db_data.dec" is different. Is the size of "..\Euro\Bnk\database\db_data.cpr" in the TDU2 folder also 1193 KB? Could you try unpacking the game files again? Please use "TDU2 Unpacker GUI [v1.1]" for unpacking.